Shruti Rajagopalan is an Assistant Professor of Economics at State University of New York, Purchase College and a Fellow at the Classical Liberal Institute at NYU School of Law. She earned her Ph.D. in economics in 2013 from George Mason University. She has a BA (Hons) Economics and LL.B. from University of Delhi; and an LL.M. from the European Masters in Law and Economics Program at University of Hamburg, Ghent University, and University of Bologna. 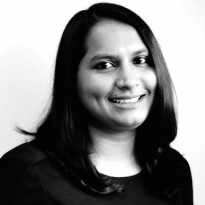 Shruti’s broad area of interest is the economic analysis of comparative legal and political systems. Her research interests specifically include law and economics, public choice theory, and constitutional economics. Her research has been published in peer-reviewed journals, law reviews, and books. She also enjoys writing in the popular press and has a fortnightly column called The Impartial Spectator in Mint. She has also published opinion editorials on Indian political economy in The New York Times, The Wall Street Journal, Mint, The Hindu: Business Line, and The Indian Express.